This post is sponsored by Evan Williams Honey. As always, all opinions are my own. 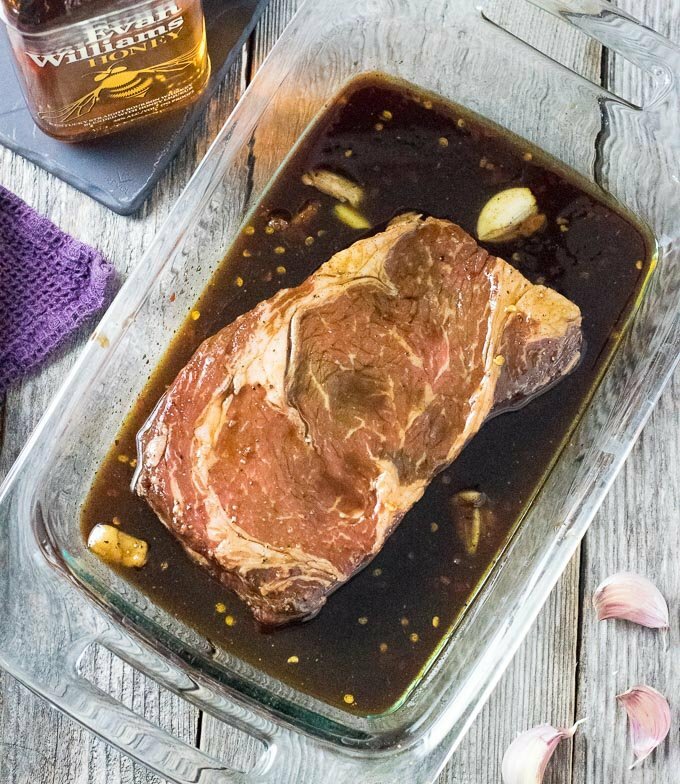 Boldly infused with Evan Williams Honey, this whiskey steak marinade saturates your grilled steak with sweet & savory flavor in each tender bite! A little over a decade ago I was employed by a gentleman who lived to entertain. He had parties, fundraisers, and charity events at his house almost nightly. They were no small affair either. Steaks sizzled on the grill, drinks were poured, people ate, drank, laughed, and simply enjoyed themselves. It was at those events where I fell in love with the classic pairing of steaks and whiskey, one of his favorite party themes. 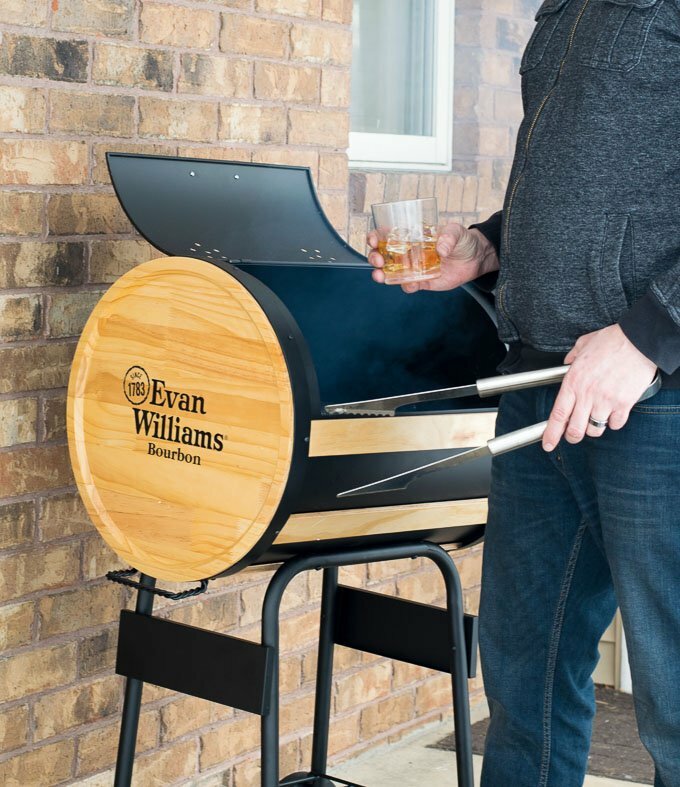 Perhaps I may not have as many celebrities darkening my doorstep as my former employer, but when I am looking to really entertain, steaks and whiskey still stand front and center as my favorite pairing. 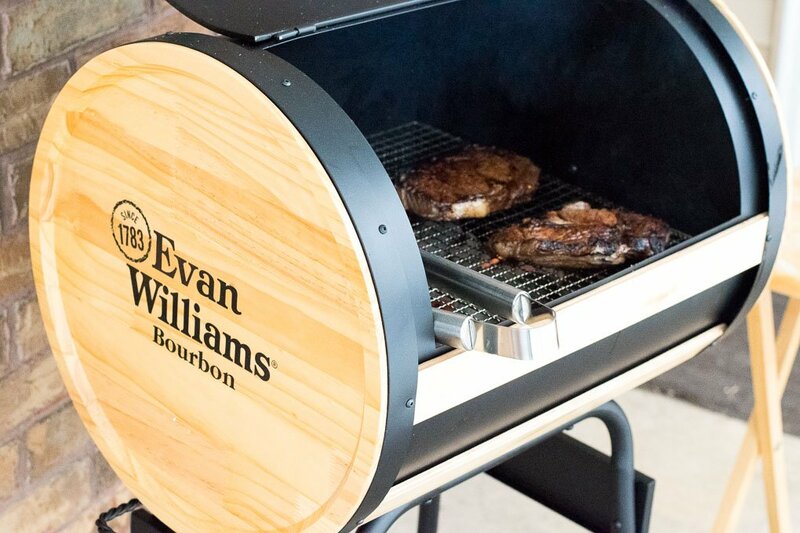 Evan Williams Honey is a natural fit to share with my friends at any steak and whiskey celebration. 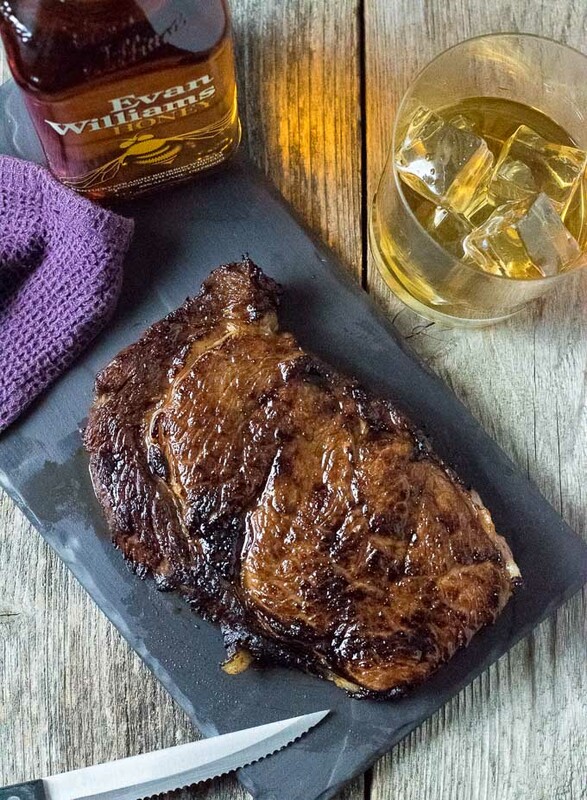 The smoothness of Evan Williams is combined with the sweetness of natural honey to create a drink that fits just as perfectly in a rocks glass, as it does in this whiskey steak marinade recipe. 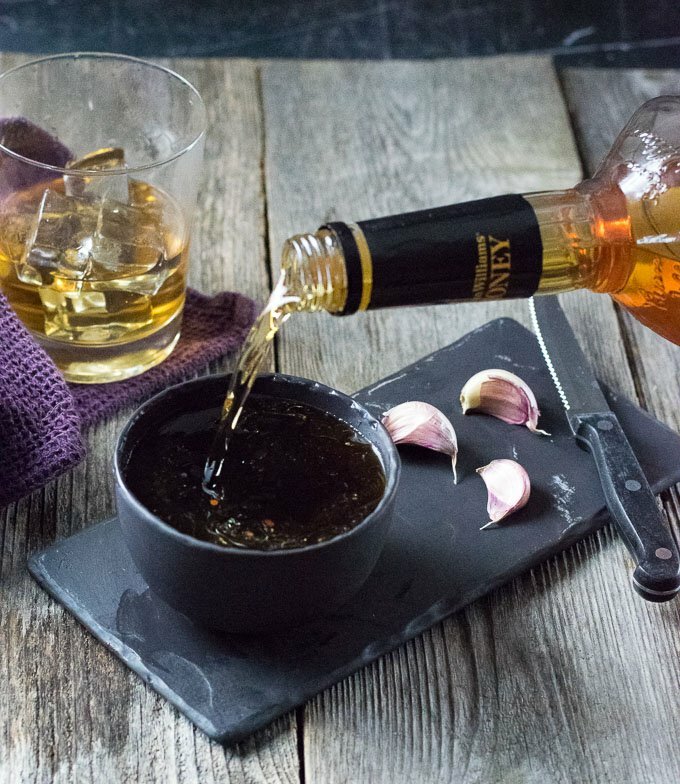 The subtle sweetness of honey makes Evan Williams Honey an ideal marinade base. 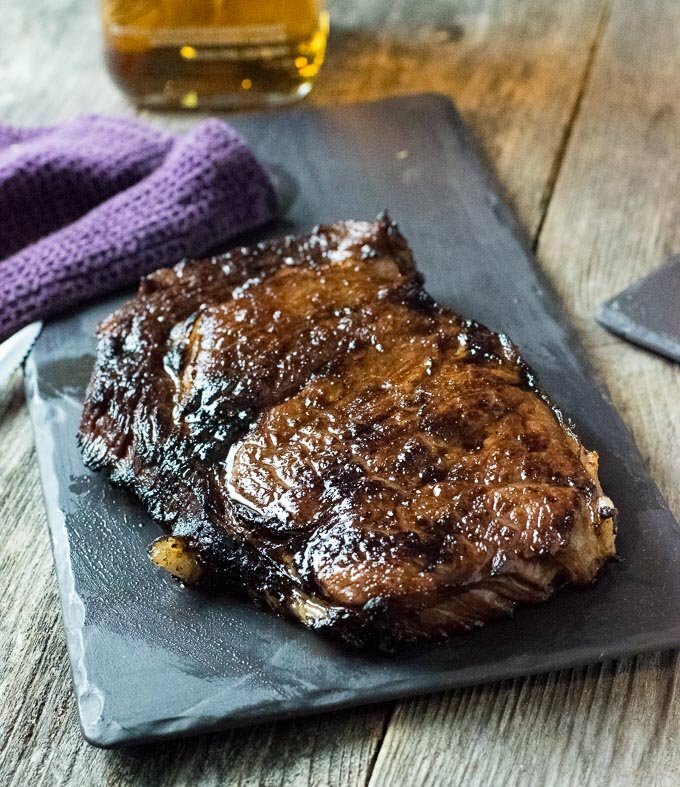 The whiskey adds a deep, oaky richness to the marinade, while the honey flavor balances it out with a brighter sweetness. I combine the rich flavor of Evan Williams whiskey with the salty umami flavor of soy and Worcestershire sauce, as well as a tangy punch of balsamic vinegar. Fresh ground pepper, crushed red pepper flakes, and a hint of ground cinnamon liven up the marinade and round out a beautifully complex flavor profile. You can let this marinade work its magic for a little as a couple of hours, or you can let the steak bathe in it overnight. Since it does contain vinegar it does run the risk of turning your steak mushy if you let it marinate for too long though. Personally, I prefer to place the steaks in the marinade in the morning and let it sit in the refrigerator until dinner time. 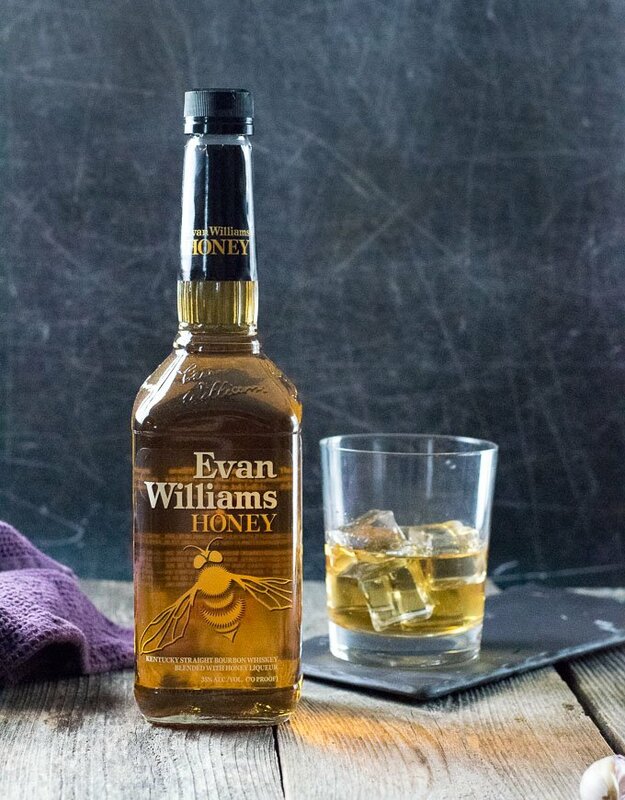 Make sure to have some extra Evan Williams Honey on hand so you have something to sip on while you patiently wait! Although, in the photos, I show steak marinading in a dish for purely aesthetic purposes, my favorite way to marinate meat is using a gallon storage bag. By removing as much air inside as possible, you will get better coverage of your marinade across the full steak. It is also easier to flip the steak while it marinates when it is resting in a sealed bag. 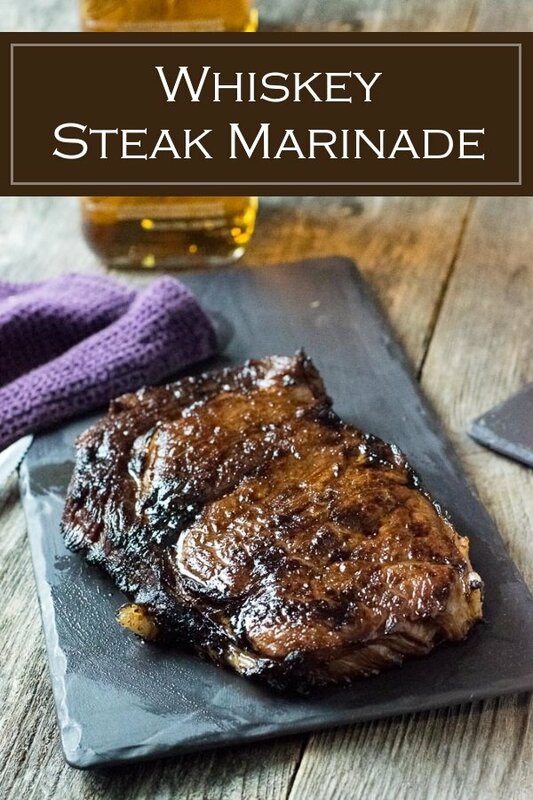 A phenomenal whiskey marinade is obviously only as good as the steak that soaks it up. Therefore I recommend studying up on how to cook a proper steak prior to any meat kissing the flames. 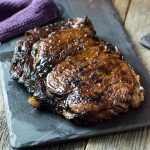 The reverse sear steak method is probably my favorite, but sometimes I feel like just keeping it simple, in which case check out How to Grill Steak. Combine all ingredients in a dish and pour into a gallon storage bag, along with two steaks, and seal shut. Let marinate in the refrigerator for at least 2 hours, or up to overnight. 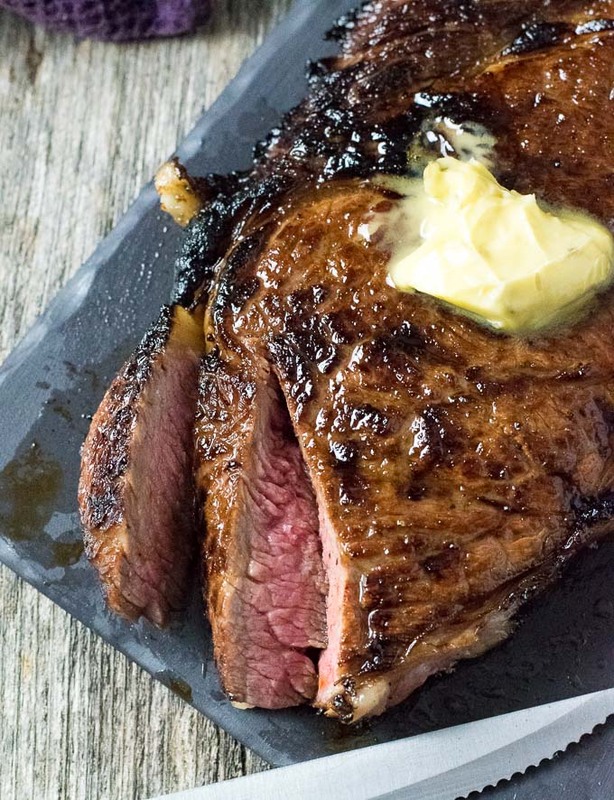 Remove steaks from the marinade and cook your preferred way. IF YOU LIKED THIS RECIPE you will also love my Blue Cheese Crusted Steak.